Electroplate Blade For Granite & Marble are widely used for cutting granite, marble, stone, concrete, buliding materials, automotive friction materials. High grade diamond, better quality steel material, good coating nickel , no crushed edge, fast cutting speed and long service life. we can produce both one side circular style Stone Blade and two sides circular Electroplate Blade. The diamond saw blade need to be wet cutted. We can also supply vacuum brazed saw blade, Wall Saw Blade, tile saw blade, Tuck Point Blade etc. 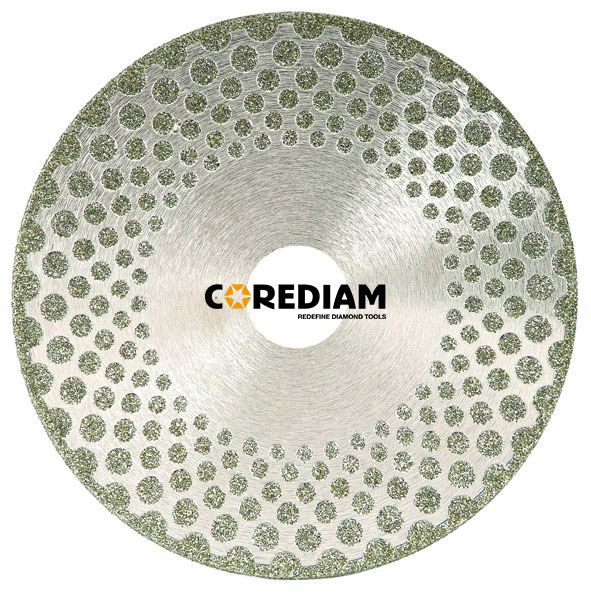 Looking for ideal Electroplated Circular Diamond Cutting Blade Manufacturer & supplier ? We have a wide selection at great prices to help you get creative. All the Two Sides Circular Electroplated Disc are quality guaranteed. We are China Origin Factory of 230mm Circular Electroplated Blade. If you have any question, please feel free to contact us.